How often have you worked through a sales discussion, building in questions, getting clarification and buy-in from the prospective customer along the way, only to face hesitation when you ask for a commitment? Even if the prospect understands the value of your product and recognizes the benefit, sometimes he or she won’t be willing to commit. Why does this happen? There are many possible reasons. The prospect might be the type of personality who needs to investigate every option before coming to a decision, or be someone who fears making a mistake. She might simply be gun-shy after a recent poor decision. It’s your job to find out long before you ask for a commitment. It is far too common for someone in a sales situation to create problems and concerns by focusing on issues that don’t interest the prospect – ever seen someone prattle on about what he thinks you want to hear without using standard illustrations that don’t apply to your specific needs and interests. 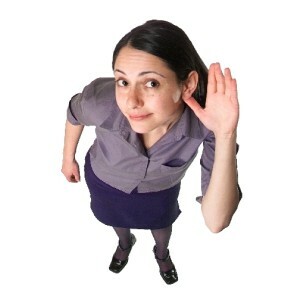 To prevent objections you must first question and then listen so you can later be heard. Seek to know your potential customer, his specific concerns (those that keep him up at night), and what he actually wants. Remember they don’t always make this easy. You have to work for this level of detail. Use “open-ended” questions to gain as much information and insight as possible. Look for personal needs or wants – those issues that have personal meaning, and therefore will have personal value (not just organizational value). Also, look for clear measures like time savings or cost savings. If you’re using your “open-ended” questions, properly, you should have a good understanding of what they need versus want. And you’ll recognize what is organizationally motivated and what is personally motivated. Once you begin to understand, think before you speak. First, pick out the key items that have value to the customer and confirm you picked the right ones. Her feedback loop often surfaces latent needs. This is how to prevent objections. Think about it. If you don’t fully understand the prospect’s issues and the value of resolving them, then you haven’t asked enough questions and you become just another vendor. The customer probably doesn’t believe you’re hearing him, and therefore concludes you can’t help him – like everyone else who doesn’t understand his needs. That’s why cusotmers raise objections or create pushback. They make you work for it. Following our approach not only removes barriers in your dialog, but also raises your credibility and creates competitive differentiation in the sales process. You’re different and they like it. This approach also increases your ability to deliver an outcome the customer actually values, instead of an outcome you believe she values. This is what I find amazing about people who think like yourself. You presume that anyone who doesn’t make the same decision that you make doesn’t have a high level of concern about their child. Ensuring that your child goes to a relatively homogenous suburban school doesn’t prove that you care about your child more or less than anyone else. It just proves that you are most comfortable having them in a school where the kids look like them and come from families with similar economic backgrounds. Most parents are concerned about whats best for their child, but that doesn’t mean that want to or can relocate to put their kids in a “high performing” school district. Hi. Thanks for your post. Not sure what your comments have to do with this post, but I totally agree. My kids are in public school and are thriving in their homogeneous environment. There is so much more to raising kids than which school they attend – that includes college too, should they choose to attend.